Hello lovelies! I'm S.C. Parris and this is a continuation on my Blood Talk Blog series: Vampires, where I talk more about the mythical creatures/monsters that appear in my series, and today's topic are those vicious, blood-fueled beasts we all love (or love to hate for me), Lycans. 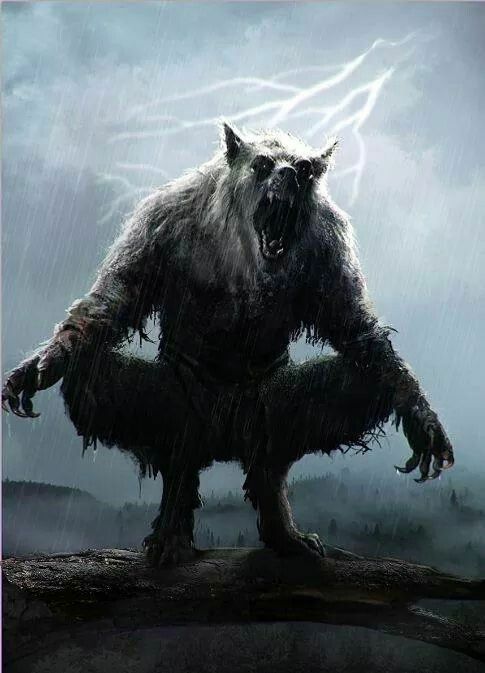 Now, when starting to write THE DARK WORLD: BOOK 1, I was ready to merely name the Vampires' antagonists 'Werewolves,' as, in my sixteen-year-old brain that's who the Vampires always fought in various books and movies I'd consumed before then. No? Yet it was my mom and older sister that stopped me when I went to write about werewolves and told me, "No, they're Lycans." It made sense to me, then. We all heard of Lycanthropy right? And in this massive world I was building at the time, it made sense to call them as such: Man turn into wolf. Man not fully wolf, yet not fully man. My Lycans walk on hind legs as beasts, sometimes reverting to all-fours in the beastly form as well, but when this form, they are definitely heightened, very vicious, and react instinctively. The only two Lycans in my series that have (yet) to portray this inherently monstrous thinking and form (even while in Lycan form) are the Lycan King Lore and his son, Thomas Montague. His gaze was pulled from the woman as the Lycan staggered to its rear legs, its head jerking erratically, and he had the strangest feeling the Creature knew he was there. It was not long before it sniffed the air deeply, and growled low, turning its head toward him, a moment of remarkable fear marring the bloodlust under that bemused gaze. “A Vampire?” the Lycan growled. His senses turned black when he came to an abrupt halt, the smack of his back against a rough, hard surface issuing a scream from his lips. He felt his body crumple to the ground, slack against a tree. A pain still pulsed at his right shoulder. He could not look to see the damage done, but knew it vast. His side, as well as the ground, was slick with wetness, and he could smell the blood in the air. His blood. Although through the eyes of a Vampire facing a Lycan, I believe we can glimpse the steady bloodlust of the Lycan, the way it subdued the Vampire with its teeth, cracked its spine against a tree, rendered it immobile, unable to move, to defend itself from a most certain end. This particular Lycan is almost strategic in its movements, though I must tell you, not all are. A special case, as it were.